We run our life on the road as we would run a business. As such we have selected and use very specific tools and resources that enable us to remain accountable to our goals while we travel. From financial tools to basic website/blog start-up, the following resources will enable you to stay organized on the road. As we continue to grow we know that our needs will change. However as a foundation, and at the very least, we can recommend that you consider the following resources. 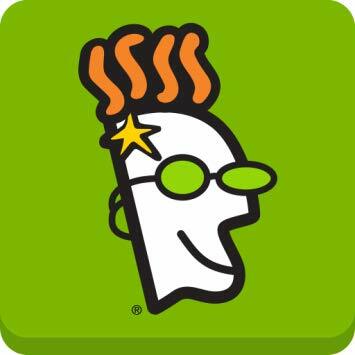 We purchased a variety of websites from GoDaddy long before Danica Patrick became a spokeswoman for the company. GoDaddy is our go-to for obtaining websites. Sometimes, when we’re bored along the road, we’ll have crazy ideas for website names and give GoDaddy a check to see if anyone else has that same crazy idea. Are we the only ones that do this?! As people like to say, your domain is your address but your hosting is the house in which you live. Hosting is essential in the twenty-first century and it weeds out the amateurs from those aiming to make a little more aggressive run on running a successful blog or website. We took the recommendation of friends and found hosting through Siteground. So far we’ve have ZERO issues and, in fact, we’ve had great customer service when we received notifications about things for which we were unaware. We would not blink to make this decision again if we went back in time. Blue Host is a more common host, and preferable to many bloggers because of the traditionally high affiliate commissions paid. We saw through that, noticing that most people that advised the use of Blu Host packed their articles full of other affiliate offers. We’re not saying Blue Host is bad. In fact we’re listing them here because we would put them as a close second if we ever had to switch from Siteground. They are big, well known and growing… can’t go wrong with a business like that. In the past we’ve tinkered with all-in-one website builders and find that we much prefer the interface and abilities of WordPress. While it sounds nice to be able to drag and drop beautiful website components, the reality is that WordPress functions at much more professional levels. In fact most of the word’s websites are built on WordPress. There are a variety of banks that cater to small business. However we have always had Capitol One accounts for our personal finances and we found that it was incredibly easy to make the transition into the business banking world with Capitol One. They offer the same kind of cash back credit cards, interest savings accounts and ease of transferring funds between various accounts. We have nothing but good things to say about Capitol One 360 Business Banking. Venmo makes it incredibly easy to send money in seconds. If you’re meeting up with friends or, like us, make friends on the road Venmo is a great way to transfer money so you don’t have to split up bills. It also makes it easier for us to stay connected to friends and family to send gifts for any of the many special occasions we miss on the road. PayPal is the gold standard for electronically transferring funds. It is a great way to enter into professional relationships by which you are either being paid or need to pay for products or services. We couldn’t do business without PayPal. Bookkeepers often get a bad wrap. Quickbooks makes becoming your own bookkeeper a whole lot easier. We snap photos of all of our receipts as we log expenses and know that they are recorded in our books. Depending on your level of comfort in the financial world you may or may not need to spend time in their help section or online. But once you get the hang of it, Quickbooks makes quick work of keeping up with the tedious tasks of keeping track of incomes and expenses while running your business on the road. Amazon is, well, nearly all you need. That’s how their positioning themselves of course. But in reality, our Amazon Prime membership has been our primary way to curate almost everything we’ve needed to rebuild our truck and camper and fill them with the comforts that make them home. If you don’t have an Amazon Prime membership, you’ll save the cost of the membership in no time at all and it’s definitely worth getting one. While there are many applications out there for photo and video editing, as a team we have selected the Adobe Cloud Suite as our primary tool. Between Photoshop and Premiere Pro we use our Adobe Cloud several hours a day most days out of the week. We’re constantly learning new ways to edit and the Adobe Suite is so robust we’ll likely never know all of the nuances and the power of its combined ability. For just a few bucks a month we have access to more cloud storage than we can possibly use. We mostly use our iTunes cloud storage for music and images. But you can get really crafty in your professional use of the cloud for backing up photos, videos and other deliverables. SmugMug is our way of professionally showcasing Lindsay’s photography. Sure anyone with a mobile phone and Instagram filters can make a photo look spectacular. However, we’re old skill and still apply the professional photography training Lindsay received to showcase her work in a place where its quality can be perceived and enjoyed.